Enjoy the new trailer for the Pokémon Movie: Pokémon, I Choose you"
It will premier on July 15. The first one is that while it show us the first chapters of the Aime, soon enough the movie makes a totally different story than the one presented so many years on the Tv, including New Generations Pokémon, Rivals and traveling Partners. Ash, a boy living in Pallet Town, greeted the morning of his 10th birthday, the day he could become qualified to become a Pokémon Trainer. 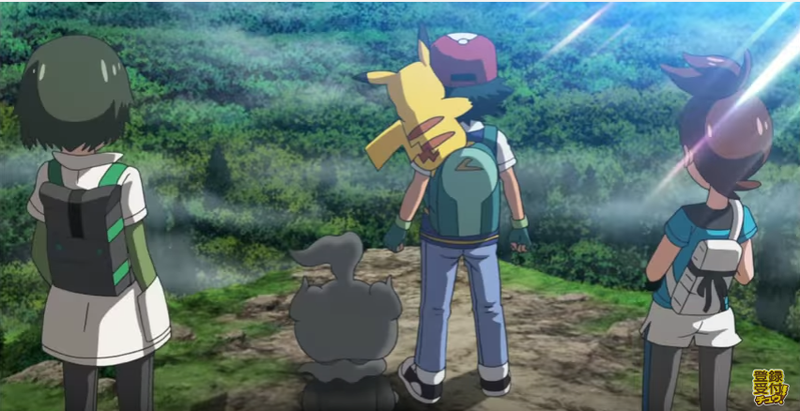 Ash’s heart was filled with a desire for Pokémon he has never seen before and a world he has never seen before, but while he was meant to be given a Pokémon that would become his partner at the Oak Laboratories, he ended up severely oversleeping, and all that was left for him was a single Pikachu, a Pokémon that did not get attached to humans. “Do you hate me? I like you!” Even though the two were at odds with one another, their friendship deepened little by little, and as they looked up at the legendary Pokémon Ho-Oh that flew through the sky on the day they set off, Ash and Pikachu swore an oath as they held one of its Rainbow Wings: “Let’s go meet it together one day!” And thus, Pikachu and Ash, who set off on his journey to become the world’s greatest Pokémon Master, end up meeting the Trainers Makoto and Soji on their way before getting told a legend concerning Ho-Oh. “Those who, guided by the Rainbow Wing, meet with Ho-Oh, shall become the Heroes of the Rainbow.” Ash and the others end up getting guided by Marshadow, a mysterious Pokémon that had been lurking in Ash’s shadow without anyone realizing, and make their way to Mount Tensei, where Ho-Oh lives, but a strong opponent appears before them. Will the duo manage to reach Ho-Oh?! In order for them to fulfill the promise they swore on the day the departed, the two of them now begin an adventure that will last until they become “true partners”! While some people might not welcome this changes, actually I am excited for them since I don´t have any kind of nostalgia for both Misty and Brock (I liked them; but never was too fond of them) and because it is a proof that this will not only be a journey through Nostalgia; but it will show us also a new story with Ho-Oh at it center.